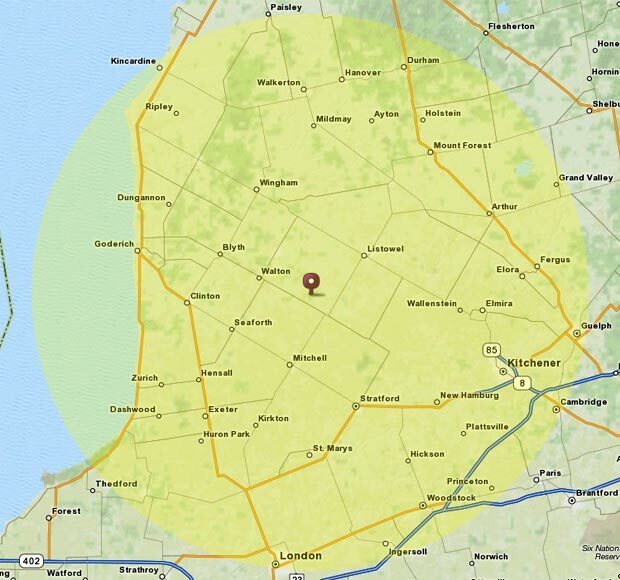 To perform in the locations within the yellow circle below, there is no travel fee, so the total fee is the amount on the price list. For other locations, the travel fee and minimum music time depend on distance. The minimum music fee for Toronto events is currently two hours. To obtain a quote, please provide the venue's postal code.